PFU Ltd of Ishikawa, Japan, an affiliate of Fujitsu, is producing the Happy Hacking Keyboard Professional HP Japan, a made-to-order keyboard handcoated with Urushi lacquer. This made to order keyboard is coated many times using a special brush made from the hairs of virgins, and then powdered with gold dust! The price for this expensive computer keyboard is a grand sum of 525,000 yen or about US $4,440. Going to war with your keyboard? Stealth Computer makes devices to reduce risk of failure in hazardous areas, the 2000-IS-DT & 2000-IS-PM come enclosed in non-corrosive stainless steel with an optical isolated barrier ensuring NEMA (National Electrical Manufacturers Association) 4X protection. What other keyboard has a temperature range of -40F to +194F (-40C to +90C)? Stealth makes many other expensive steel NEMA keyboards, but this one looks like the costliest. We’ll ignore the rest for the sake of making this article more interesting. These mystical keyboards originally retailed for $340 but since FingerWorks has been bought out and no longer produces keyboards, TouchStream LPs in great condition have started selling at inflated prices to fanatics. You can look for yours on eBay if you don’t mind spending hundreds on used computer accessories. 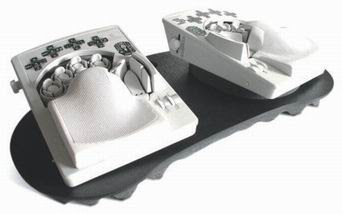 Maltron produces ergonomic keyboards they claim reduce the stresses on fingers, wrists, and arms while typing. This is one of their newer models made with Perspex, Stainless-Steel and Polycarbonate key-tops. 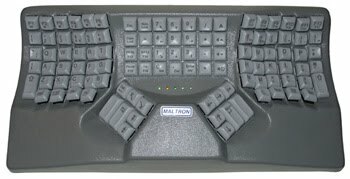 Get your Maltron keyboard in Qwerty, Maltron or Dvorak layouts! There are also US English, UK English, French, German, Norwegian/Norsk and Swedish versions available. The letter keys are angled inwards to match natural finger movements and the keys for the longer fingers are recessed. 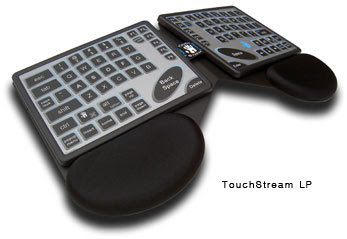 Getting a trackball on your crazy 3d keyboard will cost you an extra £65. What if a keyboard could be adjusted to fit the size and shape of each person’s hands? We’ll you’d have a Datahand! 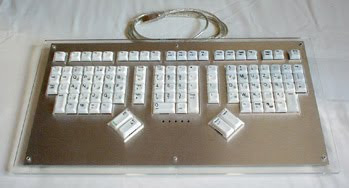 The unique finger and thumb switches change the 4 different typing modes. The orbiTouch Keyless ergonomic Keyboard creates a keystroke when you slide the two domes into one of their eight respective positions. You type the different characters by sliding the domes to create letters and numbers. 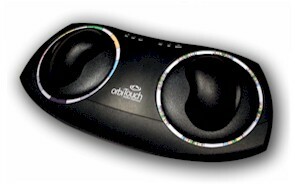 The orbiTouch Keyless ergonomic Keyboard also has an integrated mouse, so moving the domes gives you full mouse and keyboard capability. 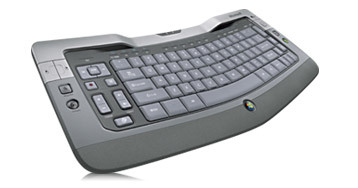 The Comfort Keyboard is separated into three sections, which can be adjusted easily and locked into place. The Comfort Keyboard also features complete key reprogramming and a programmable “rest period indicator”, which reminds users to take a break? 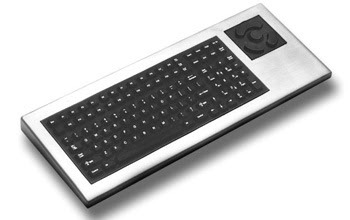 This media keyboard, otherwise known as the Ultimate Keyboard, due out in May features a magnetic dock with 4 USB ports. The ultra-thin ergonomic design was reportedly influenced by inspiration from details found in Cadillac and BMW interiors. An aluminum finish makes this keyboard quite attractive. 10. Optimus Keyboard, Art Lebedev Studio $??? We couldn’t finish a keyboard list without the OLED Keyboard. We’ve heard rumors it’ll cost $1200, but where will the OLED screen keyboard really place on the list of most expensive keyboards when it comes into production? So far, there have only been 3d renderings, but it has been reported a working model will debut at CeBIT later this month.